Difficulty hearing on the phone? You may be eligible for a No-Cost captioning telephone. 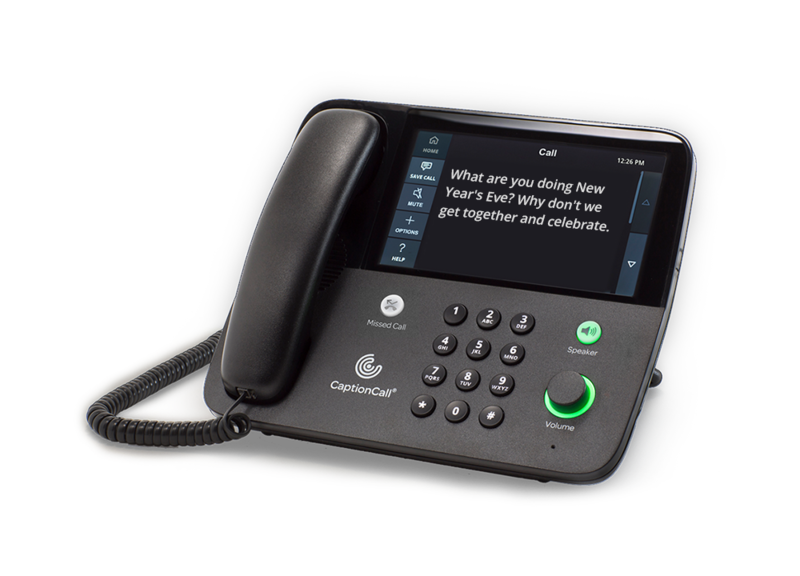 CaptionCall provides amplification and superb sound quality while displaying smooth-scrolling captions on a large, easy-to-read screen. Recommended by thousands of hearing-care professionals nationwide. CaptionCall is a revolutionary phone for anyone with hearing loss who needs captions to effectively communicate on the phone. CaptionCall offers amplification and superb sound quality while displaying smooth‐scrolling captions of what callers say on a large, easy‐to‐read screen. It helps people use the phone again with confidence! Plus, it is so easy to use—anyone who knows how to use a phone will understand how to use CaptionCall. CaptionCall is free with a signed certification form from a professional qualified to evaluate hearing loss. We’re highly recommended by audiologists and doctors to anyone who has difficulty hearing on the phone, even when using hearing aids or other assistive devices. Please fill out the form at the top of the page to download the Professional Certification Form. 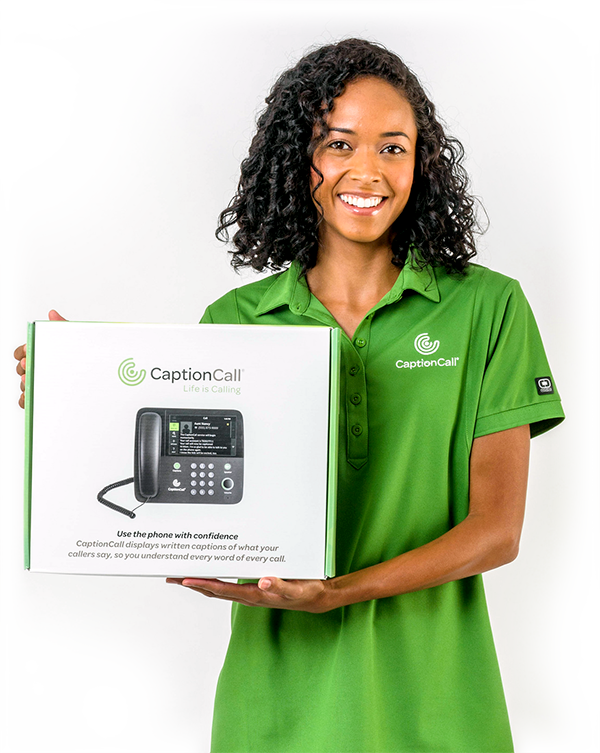 All CaptionCall phones are installed by a knowledgeable, friendly CaptionCall Trainer for free. We’ll set up the phone and make sure you’re comfortable using CaptionCall. All you need is a diagnosed hearing loss and an internet connection. No computer required. FEDERAL LAW PROHIBITS ANYONE BUT REGISTERED USERS WITH HEARING LOSS FROM USING INTERNET PROTOCOL (IP) CAPTIONED TELEPHONES WITH THE CAPTIONS TURNED ON. IP captioned telephone service may use a live operator. The operator generates captions of what the other party to the call says. These captions are then sent to your phone. There is a cost for each minute of captions generated, paid from a federally administered fund. Professional certification of hearing loss and the need for captions to use the phone effectively are required to receive the CaptionCall service and phone at no cost. No costs are passed along to individuals who qualify for the service.